Culver Training | Coming Soon – New Training and Coaching Plans! Home > Blog > Coming Soon – New Training and Coaching Plans! 08 Mar Coming Soon – New Training and Coaching Plans! Swimming Training Program 12 Week Plan – Coming Soon! Culvertraining© personalized online coaching and training plans are designed specifically to prepare you for the race(s), distance(s) and duration you choose. These are specifically designed for your individual needs. An initial consultation is the first step in getting started with a custom training program. Culvertraining coaching plans are suitable for all levels of athletes preparing for every type of endurance racing. Whether you’re just starting out on your first ever short-course triathlon or are a seasoned veteran looking for an edge in your next Ironman competition, our coaches can design custom plans to suit you. Culvertraining coaching plans give you the flexibility to modify your training and racing schedule, switch your membership on and off depending on whether you are injured, traveling or just taking a ‘break’ from training. You’ve also got the option to stop the program entirely if you not satisfied. How do you access training plans? When you purchase an online 12 week training plan you immediately receive your PDF format training plan to keep on your computer, phone or mobile device. It can also be printed. Coaching plans will be provided to you on a weekly basis as to make any necessary custom modification to your plan. What training tools are needed? A watch is suitable to complete most training. We encourage athletes to learn to listen to their body, which is a very important training ability. We use perceived exertion (moderate, medium, maximum) to measure training intensity. Heart rate, power and times vary day-to-day depending on levels of fatigue. How are the plans structured? The 12 week plans use periodization, however, flexible workout schedules are planned in various weekly blocks with workout variations and increases in training load between blocks. The weekly structure stays relatively the same throughout the plan. We find this best for scheduling workouts around other life priorities as well as observing progress. Each week there is a variety of workouts to cover the main areas of training (strength, speed, endurance, strength endurance). The workouts and the combination of the workouts are designed to give the best return (race results) on training time invested. You always have the ability to shift workouts to accommodate your life changing schedule. Are all the workouts included in the plan? Every 12 week plan contains all workouts for the duration of the plan, including the important taper leading to race day. Can I adjust my rest day? We encourage athletes to listen to their body and take a rest day as they feel they need it. Often this may be dictated by life circumstances – work and family, so a standard one day per week as designated rest does not allow for this flexibility. Instead if life gets in the way, simply make that a rest day and resume training the following day – without attempting to squeeze in yesterday’s workouts into an already busy schedule! 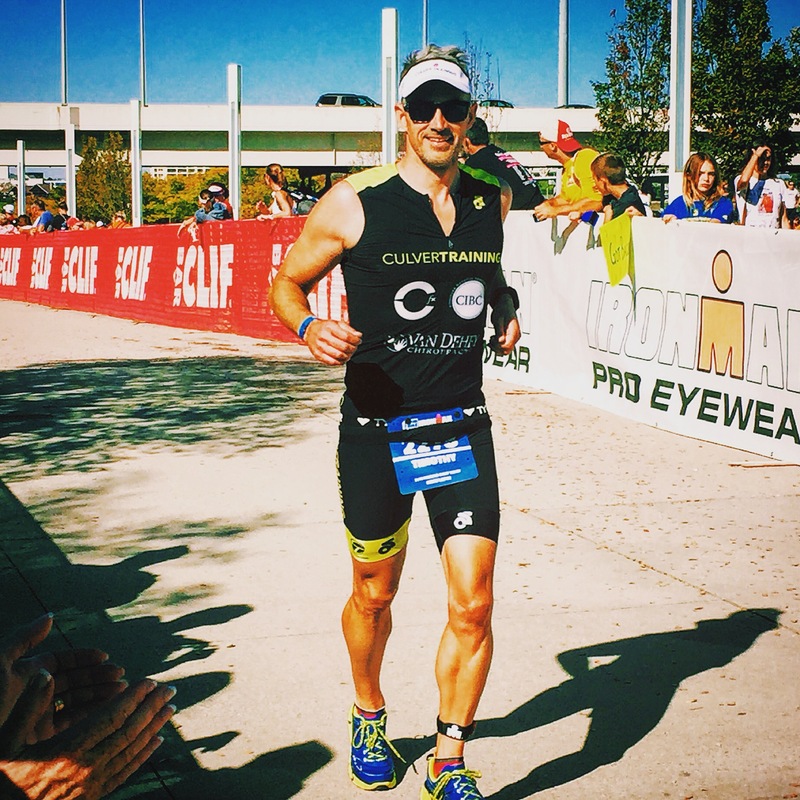 Which Ironman Distance 12 week plan should I purchase – the Intermediate or advanced plan? The plan closest to the number of weekly hours you are currently training, and / or reasonably have time each week based on other life commitments such as work and family. What preparation is recommended during weeks prior to the 12 week plans? We recommend a minimal aerobic base of 4-6 hours of training for a 1-2 months period before the 12 weeks to your goal race. I purchased the 12 week Ironman Distance training plan, but my race is not for several months. What should I do prior to starting the plan? Strength training, an aerobic base, sufficient recovery and reduced weekly volume, provide a strong structure that will prepare you for longer and faster workouts as you start your 12 week program. Do training plans include strength training? Culvertraining 12 week plans include strength training that is part of the swim, bike and run training. Swim training utilizes hand paddles and pull buoy, biking in big gear on road, trainer or hills, and running training uses hill and varying speed drills. However, if your schedule permits, we do recommend that additional core, strength, and flexibility training is incorporated into your training. Is the Iron Distance program 20 hours maximum or average week? The Culvertraining Advanced Ironman Distance 12 week training plan commences at 18 hours per week for the first month, and builds a little to be 24 hours at it’s largest the last month before the race except during a more reduced taper period. There are two workouts on most days that can be held back-to-back or one in the morning and one in the afternoon or evening. Mid week workouts are in the 60 – 90 minute range with the longer workouts on weekends. However, you can adjust to fit your schedule and lifestyle. Rest days are scheduled but can be adjusted as needed or to coincide with other commitments. For Training Plans, you will get immediate access to your Training Plan(s) as soon as the payment is complete. For Coaching Plans, you will be sent an email, with your receipt of your purchase(s). You will then be contacted by a Culvertraining Coach to begin customizing your Coaching Plan. If you do not receive the emails after 10-15 minutes feel free to contact us. How long do I get access to the program(s)? Why is there a 4 month minimum term for custom training? Personalized coaching is an in depth process. We believe that it takes at least 4 months for the coach and the athlete to work effectively together in order to make sufficient progress. All information you provided in the ‘Payment Checkout’ section of the site, such as your name, email address, and credit card details is private. We do not use athletes photos, stats or personal information without consent, or unless members themselves have chosen to make them publicly available. To be listed in our Featured Athlete page is your choice. The Culvertraining website is private and secure and we take protecting your privacy and information very seriously. These training plans are for healthy adults 18 years of age and older only. Clients must have a doctor’s approval to begin physical activity and be healthy enough to engage in physical activity. Any concerns or limitations can be reviewed by the coach before you purchase a plan by emailing with a description of your concerns or limitations. Upon purchase of a plan, you will receive an email from the coach within 48 hours to schedule your initial phone consultation and to determine a start date for your training. Health history forms and a waiver are required before beginning the program. All information provided is confidential. All plan pricing options must be paid in full. No refunds provided.